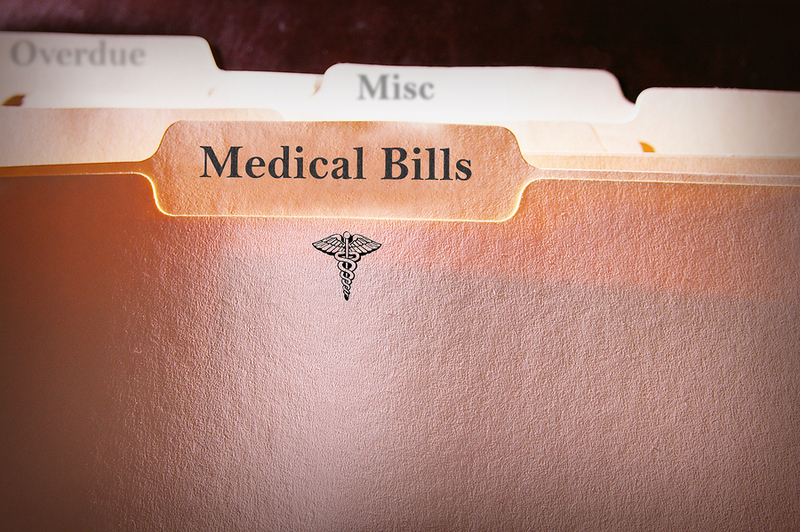 Medical bills are one of the leading causes of individual bankruptcy. But with the Affordable Care Act (aka Obamacare) enrollment deadline a little more than a week ago, you may think that this cause of financial problems is a thing of the past. Unfortunately, this is just not true. There are a couple of reasons for this. First, one issue that we've discussed here in the past is the ACA coverage gap. For states like North Carolina, where Medicaid has not been expanded, many people will not be able to afford ACA coverage. They earn too little to qualify for federal subsidies. Yes, if you can believe it, you can be too broke to afford a subsidy. Those in the gap will have to pay full price for ACA coverage, which they won't be able to afford, or face life without insurance coverage. A study done by NerdWallet Health shows that nearly two million people file bankruptcies each year because of overwhelming medical debt. Last year, more than 56 million Americans struggled to pay medical bills. Millions used up all their savings to pay medical bills or took on credit card debt to cover them. Tens of millions of people are hounded by debt collectors over past-due medical bills and millions can't pay their rent, utilities or food bills because of medical bills. But the Affordable Care Act isn't the answer for most of these people. In addition to costly premiums – particularly for those that don't qualify for subsidies – there are deductibles and co-insurance to contend with, as well. The plans with the cheapest premiums only cover 60% of the costs of your treatment. If you need a surgery that costs $10,000 (which would be a pretty cheap procedure), the plan would cover only $6,000. That leaves $4,000 for you to deal with on top of your premiums. A serious illness such as cancer or a major accident could cost much more. There is an annual out of pocket cap, but it's pretty high at almost $7,000 for individuals and almost $13,000 for families. Deductibles can also be high at $5,000 per person. Many lost coverage with the implementation of the Affordable Care Act and if they have major medical expenses, getting in over their head is still a significant and realistic risk. Even for those with ACA coverage, a major incident may be enough to tip some individuals and families into an untenable situation buried in medical bills they can't pay. What's the answer? Unfortunately, you'll have to weigh what's best for your specific circumstances. Going without coverage invites a tax penalty for not complying with the law, although at $95 for 2014, it's pretty modest. Buying insurance you can't afford just to comply can put you into a position where you can't afford to pay other bills and can get in deep financial waters over your head. And going without insurance means you are gambling on your wellness. If you get sick without insurance, 100% of the costs will be yours to bear and this can mean financial disaster. If you are weighed down by credit card bills, medical debts and other unsecured debts, filing bankruptcy can allow you to get a clean financial slate. Once you've freed yourself up from these overwhelming debts, you are more likely to be able to afford ACA insurance premiums. Contact the law offices of John T Orcutt for a free consultation on your debts and learn how Chapter 7 or Chapter 13 bankruptcy can help.